Golden Valley Electric Association has halted work on a study requested by a Colorado-based company and its Fairbanks partner that proposes to add 55 megawatts to the grid. Golden Valley President and CEO Cory Borgeson says GVEA last week suspended an interconnection study requested by Eco Green Generation until a federal agency certifies that the company meets requirements of a law that regulates independent power producers that generate electricity with renewable energy, like wind. 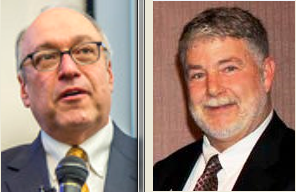 Borgeson says Golden Valley stopped work on Eco Green’s proposal after the Federal Energy Regulatory Commission, or FERC, told GVEA officials that the agency hasn’t issued a docket number for the proposal. Wind-farm developer Mike Craft and his Alaska Environmental Power partners own and operate a 2-megawatt wind farm in Delta Junction. He and his Eco Green partners proposed to build another 25-megawatt wind farm next door to the existing facility, along with a 4.4-megawatt battery/storage system, and a series of propane-fired combined heat and power generators around Fairbanks and North Pole. The federal Public Utility Regulatory Policies Act requires independent power producers like Eco Green to be certified by FERC as a so-called qualifying facility, or QF, in order to provide power to the grid produced by renewable energy. Eco Green last month proposed to sell 55 megawatts of electricity generated mainly by wind that’s backed-up by a battery-storage system and a series of propane-fired generators. Borgeson says Golden Valley’s study already is well along. Eco Green partner Mike Craft says the company filed a QF application with FERC on Dec 28, the same day it requested that Golden Valley conduct an interconnection study. So Craft says he doesn’t know why the agency hasn’t processed the company’s application and issued a docket number. GVEA President and CEO Cory Borgeson, left, and Mike Craft, Eco Green Generation partner. “I’m not sure is it was the fact that the government was shut down or what the problem was,” he said. 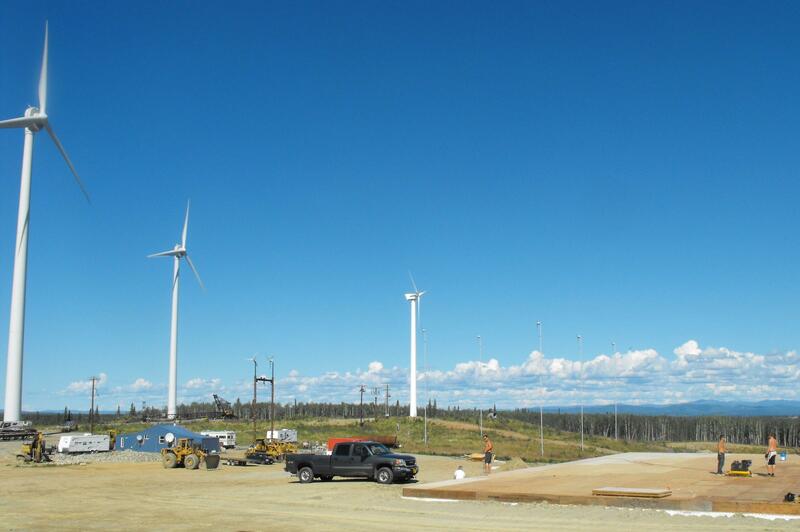 Craft is a Fairbanks-based developer who built and operates a wind farm in Delta Junction. He says one of his partners in Colorado will re-file the QF application today, and this time they expect to get a prompt reply that will allow the process to move forward. Eco Green’s proposal includes building a 25-megawatt wind farm and a 4.4-megawatt electricity-storage battery system in Delta, along with eleven 5-megawatt propane-powered backup generators around Fairbanks and North Pole. It’s a complex proposal, Borgeson says, and he adds Golden Valley will get back to work on it when FERC has processed the Eco Green application. The numbers will include the price that Golden Valley would be willing to pay Eco Green for its electricity. That information would be included as part of the tariff that GVEA would file with FERC’s state counterpart, the Regulatory Commission of Alaska. Golden Valley Electric Association has pledged to reduce the amount of climate-changing carbon its power plants emit by 26 percent, based on 2012 levels, over the next 11 years. Members of environmental groups welcome the so-called Green Goals approved last week by Golden Valley’s board of directors. And they’re challenging the co-op to set its carbon-reduction goals even higher. Golden Valley Electric Association is studying a Colorado-based company’s ambitious proposal to sell 55 megawatts of electricity generated by a hybrid-power system based mainly on wind. Officials with Eco Green Generation are proposing to build a new wind farm, an electricity-storing battery system and a series of small propane-powered backup generators around Fairbanks and the area’s three military installations. Alaska’s rural communities are increasingly looking to wind, solar and biomass to reduce their use of expensive diesel fuel to generate heat and electricity. Residents talked about their efforts to use renewable energy sources at this week’s Rural Energy Conference in Fairbanks. About 400 people from around Alaska and elsewhere converged on the Westmark Fairbanks Hotel and Conference Center Tuesday to talk about how residents of the state’s rural and remote communities can reduce high energy costs during the 20th Rural Energy Conference. Delta Wind Farm President and CEO Mike Craft is taking the Regulatory Commission of Alaska to court. Craft is asking a judge to overturn the commission’s approval of a Golden Valley Electric Association tariff filed last summer. He claims the tariff violates new state regulations intended to help renewable-energy projects like his access the grid. A Fairbanks based alternative energy company continues to push Golden Valley Electric Association to buy more of its wind power. Alaska Environmental Power operates a wind farm in Delta Junction, and recently teamed with an Anchorage law firm on a report it hopes will sway utility members. KUAC’s Dan Bross reports. Construction is nearing completion on the state’s largest wind farm: Golden Valley Electric Association’s 93 million dollar Eva Creek Project. A ribbon cutting held yesterday (Weds.) at the hill top site near Healy. KUAC’s Dan Bross attended and has this report.